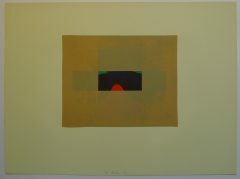 Painter, printmaker and teacher, he was born in London, where he eventually settled. Hodgkin was evacuated as a child to America. On his return to England, he was educated at Eton College, where art master Wilfred Blunt was influential. He studied at Camberwell School of Art, 1949-50 and Bath Academy of Art 1950-54. He became part time assistant art master at Charterhouse School from 1954 and taught at Bath Academy of Art 1956-66. In 1964 he made his first visit to India and became interested in Indian miniature paintings, about which he has become a world renowned expert. 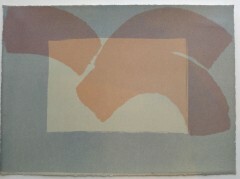 From 1966 to 10972 he taught at Chelsea School of Art and was also a trustee of the Tate Gallery from 1970-1976. From 1978 to 1985 he became a trustee of the National Gallery in London. In 1984 he represented Britain at the XLI Venice Biennale. The popularity of his paintings and prints grew and in 1985 he was awarded the Turner Prize. In 1992 he was knighted and in 2000 given an Honorary Doctorate of Letters, Oxford University. Mainly shows at Anthony d’Offay.